If I had a dollar for every New Year’s resolution I set—or even thought about attempting— I would be a billionaire. It’s not that I don’t actually want to do the things I say I will, it’s that I grow so comfortable in my ways that changing is usually a battle I am not equipped to win. 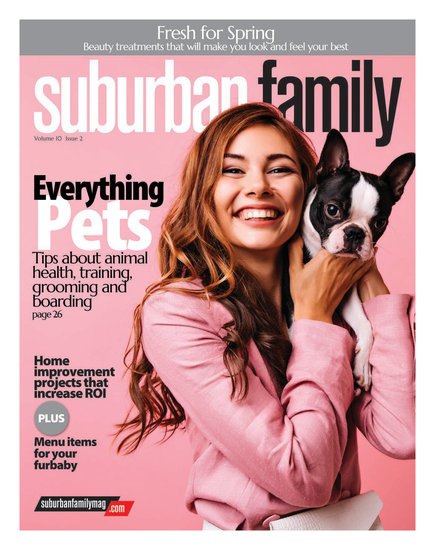 This year, I have no choice but to stick to my New Year’s resolution of bettering myself overall because it starts right here inside our special issue of Suburban Family with our Health & Wellness guide. With expert advice and guidance throughout our three features, I—and our readers—will be well on my way to having a better financial house, being more aware of my health and becoming more active. But that’s not all; we even have a list of race dates to take note of for the 2018 calendar year on page 30 to help you better prepare your training schedule. And you can toast your victory of crossing the finish line with one of the delicious smoothies from page 32. It’s time to step out of our comfort zones. Here’s to 2018, the best year yet.